ROSEMEAD, California, June 7, 2013 (ENS) – Southern California Edison has decided to permanently retire Units 2 and 3 of its San Onofre Nuclear Generating Station, SONGS, due to premature wear found on over 3,000 tubes in replacement steam generators and a leak of radioactive material. Both SONGS units have been shut down since January 2012. Unit 2 was taken out of service January 9, 2012, for a planned routine outage. Unit 3 was taken offline January 31, 2012, after station operators detected a leak in a tube inside a steam generator manufactured by Mitsubishi Heavy Industries. Two steam generators manufactured by MHI were installed in Unit 2 in 2009 and two more were installed in Unit 3 in 2010, one of which developed the leak. Southern California Edison intends to pursue recovery of damages from Mitsubishi Heavy Industries, the supplier of the replacement steam generators, as well as recovery of amounts under applicable insurance policies. A host of problems has beset the crippled nuclear power plant. On May 29, U.S. Senator Barbara Boxer of California asked the Justice Department to open a criminal investigation into Southern California Edison’s statements to nuclear regulators about replacing the steam generators at the shuttered San Onofre nuclear power plant. Edison replaced steam generators in 2009 and 2010 without review by the Nuclear Regulatory Commission because the company said the replacements met a federal test of being the same parts. Senator Barbara Boxer (D-CA), Chairman of the Environment and Public Works Committee, today issued the statement below following the announcement by Southern California Edison of the permanent closure of the San Onofre Nuclear Generating Station. From the company’s point of view, the Nuclear Regulatory Commission process that it would have to go through to get the 40-year-old San Onofre nuclear power plant up and running again appeared longer and more complicated as time passed. After months of analysis and tests, Southern California Edison submitted a restart plan to the U.S. Nuclear Regulatory Commission in October 2012. SCE proposed to safely restart Unit 2 at a reduced power level of 70 percent for an initial five month period. That plan was based on work done by engineering groups from three independent firms with expertise in steam generator design and manufacturing. The NRC has been reviewing SCE’s plans for restart of Unit 2 for the last eight months, during which several public meetings have been held. A recent ruling by an adjudicatory arm of the NRC, the Atomic Safety and Licensing Board, creates further uncertainty regarding when a final decision might be made on restarting Unit 2. Additional administrative processes and appeals could result in delay of more than a year. During this period, the costs of maintaining SONGS in a state of readiness to restart and the costs to replace the power SONGS previously provided would continue. Moreover, it is uneconomic for SCE and its customers to bear the long-term repair costs for returning SONGS to full power operation without restart of Unit 2. SCE has concluded that efforts are better focused on planning for the replacement generation and transmission resources which will be required for grid reliability. 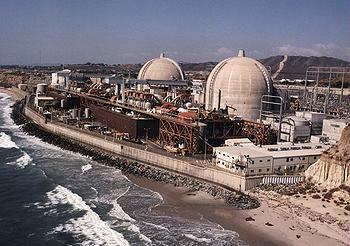 The company anticipates reducing San Onofre staff over the next year from 1,500 to 400 employees. Erich Pica, president of Friends of the Earth, which petitioned the Nuclear Regulatory Commission for a full public hearing on the proposed restart of San Onofre, was pleased by the shutdown announcement.